Every month, we give you a spoiler-free run-down of what’s in the current (for the United States) issue of Retro Gamer magazine, letting you decide whether or not it’s worth buying. 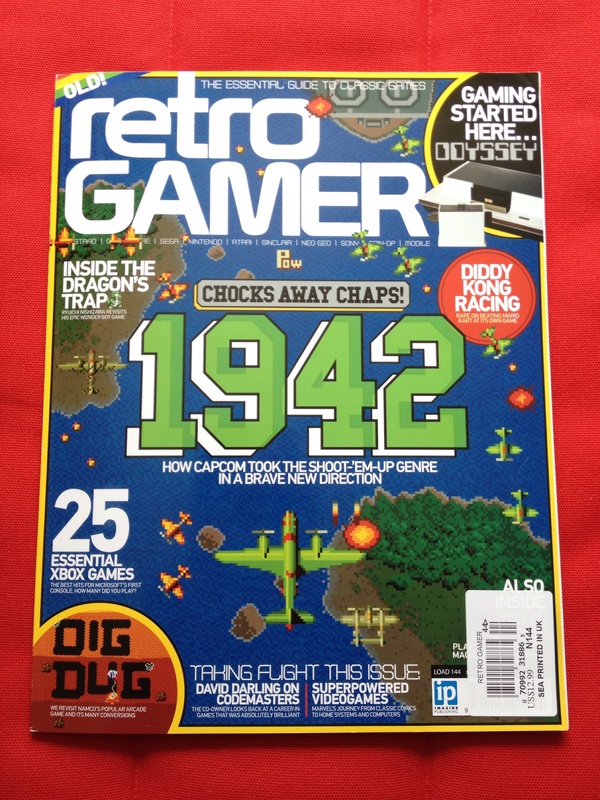 The latest issue of Retro Gamer (#144) hit news stands here in the United States this week. – A 6-page spread on 1942, one of Capcom’s first marquee titles. – A detailed retrospective of the original Magnavox Odyssey. – The making of Wonder Boy III: The Dragon’s Trap for the Sega Master System. – The ultimate guide to Dig Dug. – Top 25 Xbox games. – A guide to games based on Marvel superheroes. – The making of Diddy Kong Racing.